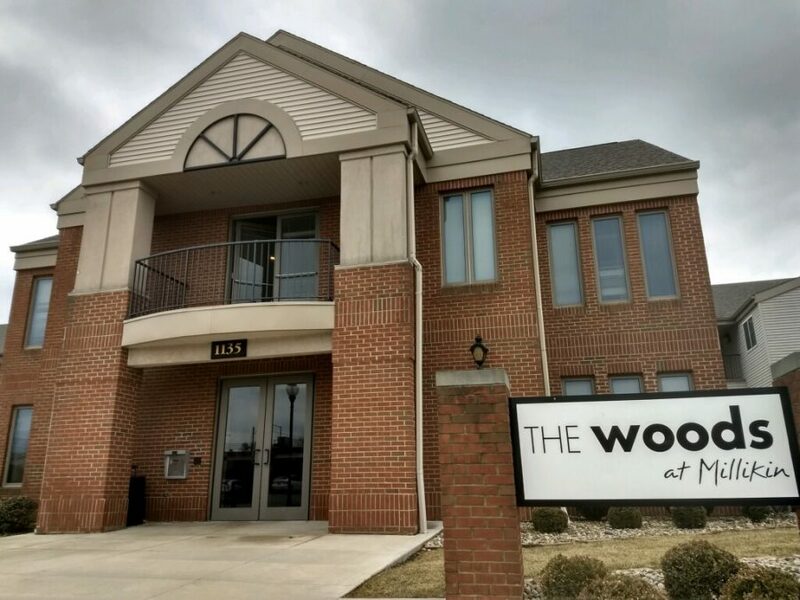 The Woods Apartments at Millikin include the essentials of living. Every apartment offers four close-cornered bedrooms, four sinks, two bathrooms, two showers, a living area, and a kitchen complete with microwave, oven, and dishwasher. While it may not be the most spacious place to live, it is absolutely a fine place for college students to live. What has students upset, however, is the high cost of living. This year, for non-seniors, it costs $4,345 a semester to live in The Woods, coming out to $8,690 per school year. This amounts to $869 a month. Starting next school year, this total cost of living in The Woods is expected to increase to $4,519 a semester for non-seniors. This would increase the cost of living per school year from around $8,690 to $9,038 and raise the monthly amount due to over $900. So the increase isn’t out of the ordinary, in fact, it is following suit. The price of college as a whole is designed to increase as time goes on. “The increases are to be expected and do occur at most other colleges and Universities across the country,” Lidy said. So while the demand for information and knowledge continues to rise within our culture, so does the cost of attaining your specific educational desires. The high cost of college has been well noted through time, but the systematic design to maintain a rising cost has not. This is rather infuriating for students, as while the costs go up, the environment’s quality remains constant. This past semester, The Woods front office was handing out $5 Subway gift certificates to anybody who wrote a review about the quality of The Woods residency. This was the reaction of a sudden rise in consciousness of the lack of positive reviews regarding the quality of living in The Woods. This suggests a lack of drive to continue to improve an environment and instead a desire to remain stagnant. This is the reason why the rise in price frustrates students. There are several full-sized apartments and even houses for rent in the area being advertised for less than half the price of The Woods. It’s worth noting, also, that apartments in far nicer areas of the country are the same price as The Woods apartments.. The Woods’ quality of living is comfortable, but not luxurious. This is why the high rent, which is constantly rising, causes outrage. Though the issue of rising prices is a national trend, it’s not distant. It’s a serious Millikin issue, too.